[Go Back] [New Search] Details for Kogyo Tsukioka (1869-1927) "Mt Fuji in Winter"
Condition excellent - very good … slight toning. Description Mt. 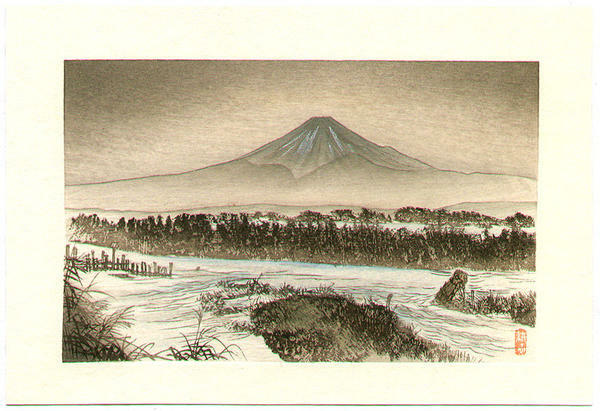 Fuji and a overflowing river in wintry land.